the funeral of the old leader. And As Hamas has stated over and over again it arises from the pages of the Koran and the hearts of the people. And worse of all is the professional Left. that supports Hamas. So as long as Gaza exists as a place for television network to exploit, or flotillas to sail to, or morons like Cynthia McKinney or Vanessa Redgrave or Rachel Corrie to make common cause with then Hamas will regenerate itself. But if Gaza simply ceases to exist as Jenin ceased to exist as anything other than some concrete rubble in the sun with its population moved elsewhere than we are making progress. If Gaza was relocated to a nice new UN village in Sudan or southern Egypt with an influx of welfare money to sustain it and several hundred miles of sand separating it from Israel then everything becomes much less dramatic , With no "oppressors" the Left gets bored, the television cameras turn off, and soon no one comes to visit. Flies, garbage, and Islam takes over. Soon it is a forgotten. Has anyone mentioned Jenin recently? 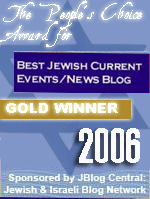 It is true that for the most part Israeli's have politically embraced the center-left. The problem is that once these "right-wingers" get elected, they govern as if from the left, for all intents and purposes lying to the Israeli public. Of course the most glaring example would be Arik Sharon getting elected on the promise of not leaving Gaza, only to almost immediately upon election pull a 180. It's hardly the only example. The last real opportunity Israel had to save itself was Rabbi Kahane zt'l. But the Israeli Left and Right decided keeping power was more important then anything else. So they banned the Kach party. The only long term solution is the mass expulsion of the Arab population and the establishment of a theocratic state, preferably a Malchut. Yes the Goyim wont much like it, but they dont much like the Jews anyway. That first sentence should read "...embraced the center-right"
This is depressing:) There must be some biblical insight to lead Israel in the right direction. "Despite all the explosions in Gaza, Israel is still stuck on the second choice. The air strikes aren’t meant to destroy Hamas. They are being carried out to degrade its military capabilities which will buy a year or two of relative peace." True. It's the wrong time of year to be pondering Maoz Tzur but aren't all but the sixth stanzas about temporary redemption by man and G-d, not total, irreversible Divine redemption? Can divine redemption occur within a man waged war? I don't know. But IMO Israel needs to exercise political restraint in terms of not dealing with the UN, US or any other nation or organization dangling a peace carrot in front of it. 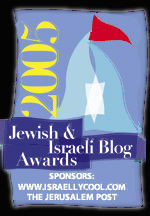 Until there is a final, divine redemption Israel must fight. It would be unconscionable to allow innocents to die at the hands of terrorists without fighting to keep Jews alive. Please tell me that Israeli politicians aren't still concerned about accusations of using disproportionate force against her enemies. Any idea of what the Jordanians feel about this? Aren't the Palestinians actually Jordanians? Is Jordan taking a hands off approach to Gaza as a Palestinian state? IAF to stop striking Gaza at 9:00 am - despite Hamas's refusal to adhere to the terms and conditions. Israel has accepted a cease-fire - but Hamas has not, lobbing rockets at Israel less than one hour after announcement. 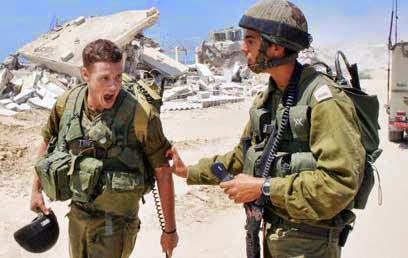 .........." Meanwhile, an IDF spokesperson indicated to Walla! 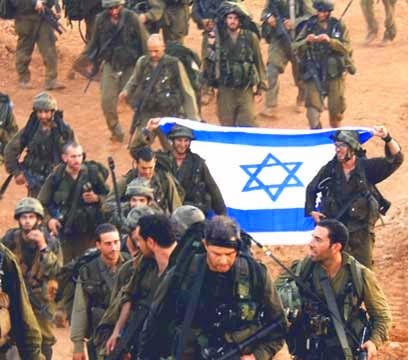 News shortly after the rocket fire that - truce or not - the IDF may enter Gaza after the attack on the Eshkol region. "We are prepared to enter Gaza," he said. He added that the cease-fire agreement only stipulated that Israel would hold back fire if Hamas followed suit. "All the options and related programs from Operation Protective Edge are still relevant," he added. 3 PUT NOT YOUR TRUST IN PRINCES, NOR IN THE SON OF MAN, IN WHOM THERE IS NOT HELP. One of the rare times that I disagree with DG analysis. The three options are not this white and black. What happens if Israel destroys Hamas in Gaza -- The "peace loving" Mahmud Abbas takes over, and the world puts full press pressure on Israel to make peace with ALL Palestinians. 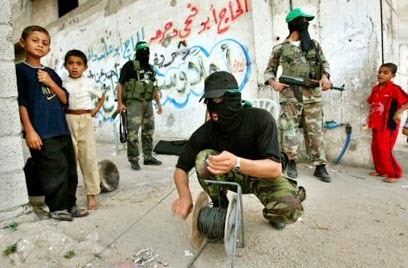 Hamas supporters still exist, but now they are less visible. As we all know, there is no one to make peace with on one hand, and on the other, we are not quite ready for the one state solution (despite Caroline Glick's excellent book). Therefore, it is in Israel's interest to maintain status quo for now -- the time is on our side. Therefore, Netanyahu's solution to weaken Hamas and stop the rockets for couple of years is a bad solution, but the best Israel can afford at this time. Besides, Israel needs to focus on the threat from Iran. I am still hopeful that there is a plan to destroy Iranian nuclear capabilities at the right time. 1. Israel to bring Hamas and others to their knees and destroy all weapons. 2. Israel to allow a friendly company to develop Gaza's oil and gas, the operator will pay high royalties to the state of Palestine for the purpose of building infrastructure etc. 3. Palestine to be weapons free and will have international security guaranties. 4. All Palestinians will lose their refugee status and will take responsibility for their own affairs. In for a penny in for a pound. Why should Israel always so meticulously calibrate its response when the world is always going to react as though it's launched a genocide. There is simply zero gain any more in Israel pulling its punches. It should launch a planned all-out war, a war that's intended to last 10+ years. Its objective should be to utterly break the will of any Muslim ever to think of using terrorism again. Then Israel should send execution teams after terrorist scum who scurry away when it becomes clear Israel is 100% serious. Just go for it and damn the opprobrium the fascist Left will inevitably hit Israel with, whatever it does. I've lost respect for Netanyahu. He's not thinking clearly, not weighing what future this default appeasement is leading Israel into. Launch ALL-OUT WAR, and don't stop until they surrender or Israel is defeated. Period. That's the only real option left. Otherwise it should just roll over and die b/c leftist anti-Semitic hate is all the rage now.